Since the first installation of 4K projectors in 2005, Sony technologies for cinema exhibition are now used worldwide. The 4K trend is continuing with Sony’s next-generation projection based on high contrast and a laser light source, currently in deployment at U.S. theaters. Raposo noted, however, that movie-goers today demand a total experience from the moment they walk in the door to keep them engaged and coming back for more. According to Raposo, that right technology for the future of cinema will be Sony’s Crystal LED, a new type of display technology designed by Sony to deliver limitless flexibility and creativity for high-end visual simulation and visual entertainment. 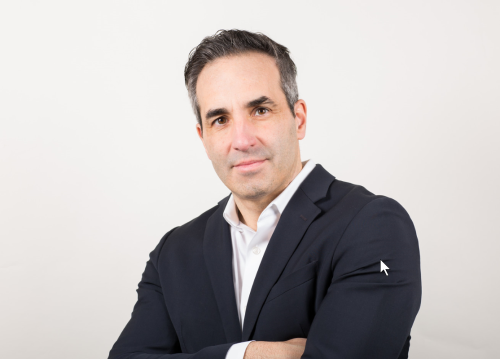 Raposo brings to Sony extensive experience in senior management, sales, marketing and new business and brand development. His previous role was with D-Box Technologies as Vice President, Sales for the Americas and EMEA, negotiating 3rd party distribution deals and agreements with new exhibitor partners. He was previously Vice President of Theater and Sales for IMAX Corporation, leading the strategic planning, zoning and IMAX network rollout in the Americas. His business experience includes sales management roles at Labatt Breweries of Canada. Raposo was designated a Chartered Accountant through KPMG and is a member of Chartered Professional Accountants of Ontario.